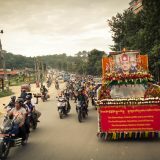 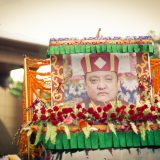 The kudung, or mortal remains, of His Holiness the late 14th Kunzig Shamar Rinpoche, Mipham Chokyi Lodro, have arrived in Kathmandu, Nepal. 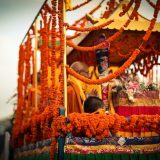 Kunzig Shamar Rinpoche was a widely known and well loved Buddhist teacher, and his kudung has been met with sincere reverence and respect on each stop of its tour from Renchen, Germany, via the Karmapa International Buddhist Institute, New Delhi, then on to the Shri Diwakar Vihara in Kalimpong, India. 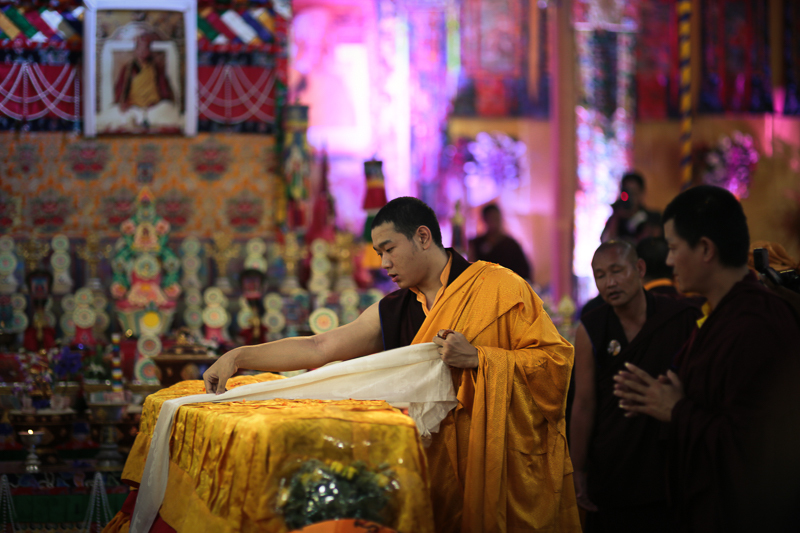 Thaye Dorje, His Holiness the 17th Gyalwa Karmapa, accompanied Shamar Rinpoche and led pujas (Buddhist ceremonies) to honour his former teacher every day in Germany, in KIBI, and in Kalimpong. 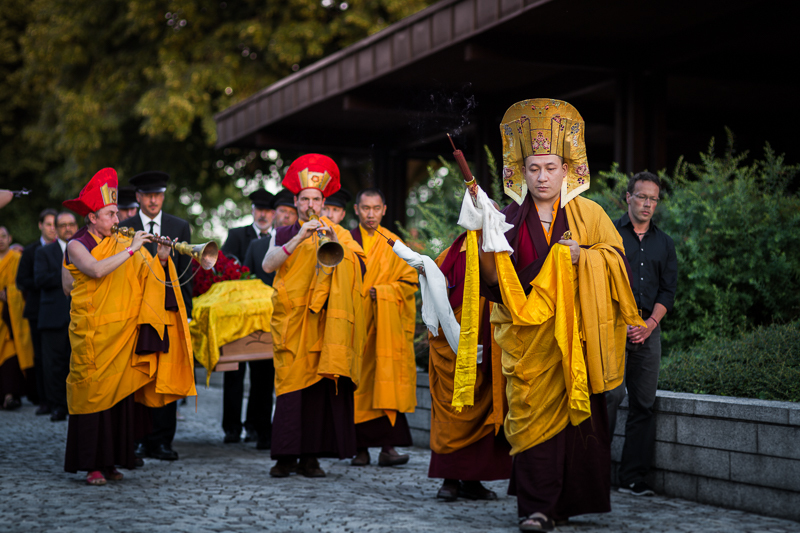 During this tour, thousands of well-wishers came from all over the world to pay their respects. 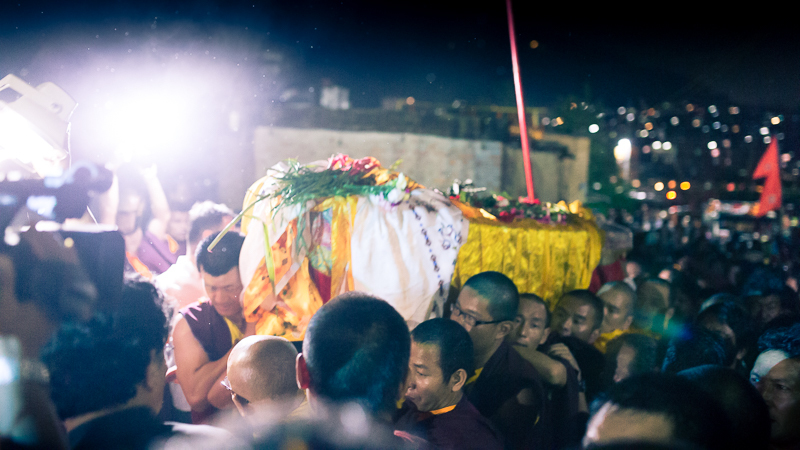 Now, Rinpoche has reached his final resting place. 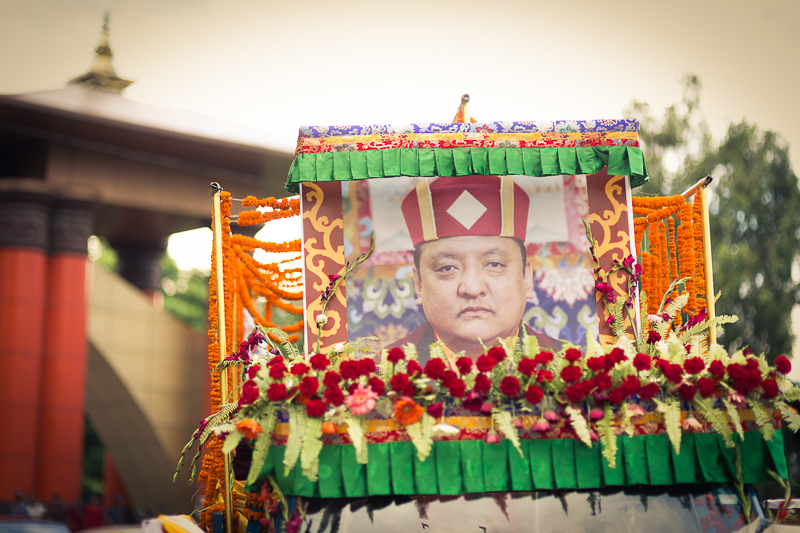 The 14th Kunzig Shamar Rinpoche, during his life, worked to deepen the traditional connection between his reincarnate line of the Shamarpas and Nepal, the country of Buddha’s birth. 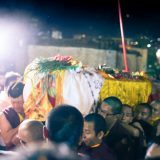 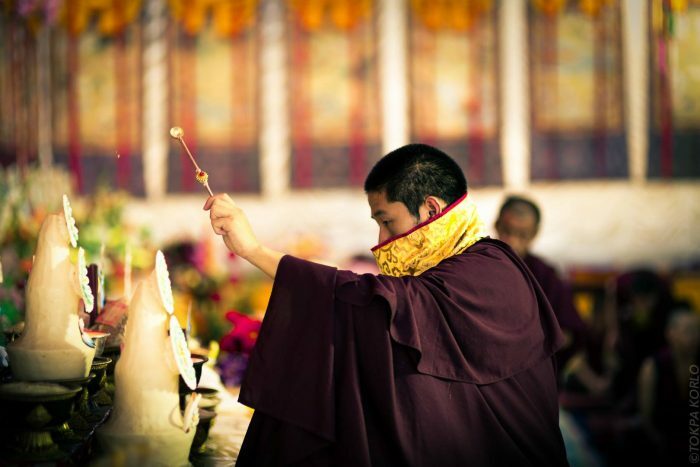 Among other connections, the 8th Shamarpa was born in Nepal, and the 10th Shamar Rinpoche was cremated there. 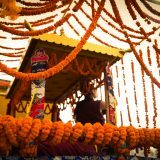 Kunzig Shamar Rinpoche established a monastery at Shar Minub, in Kathmandu, to teach the many Buddhists of Nepal and to spread the Dharma. 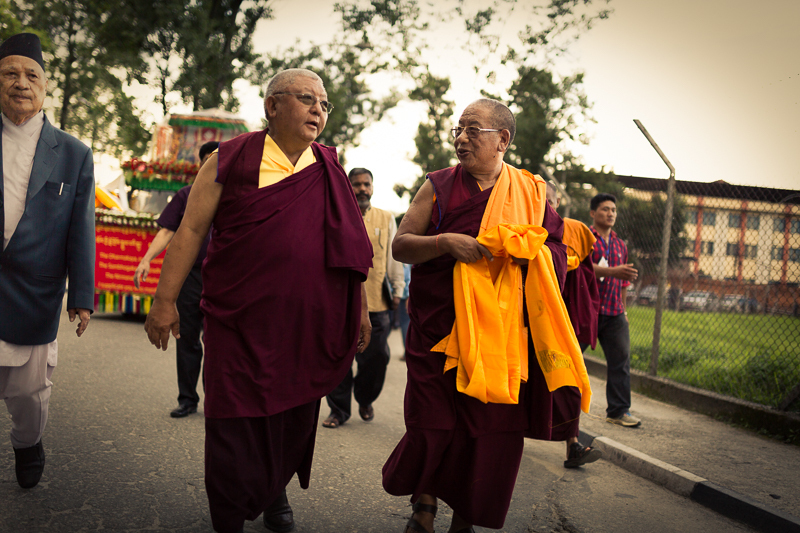 And Rinpoche asked that he be cremated here. 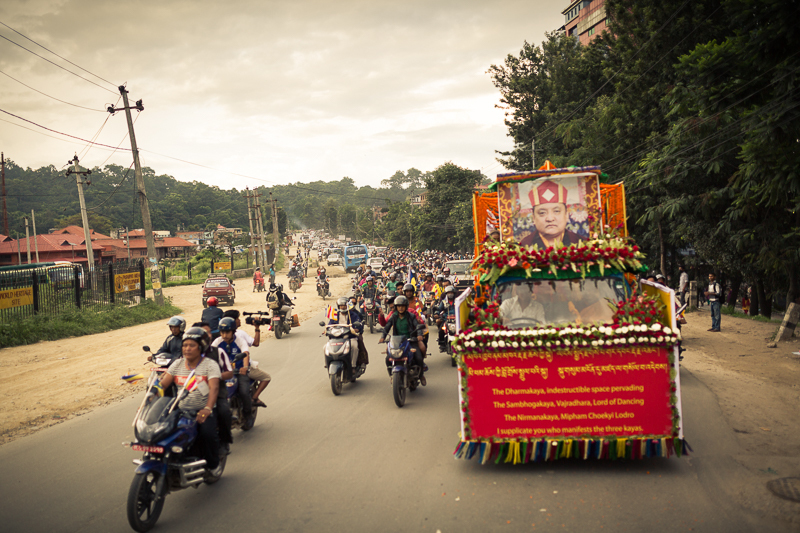 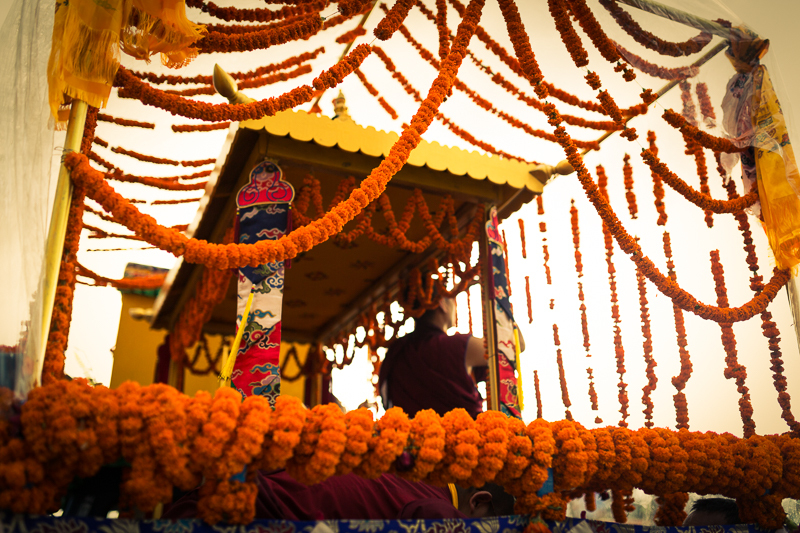 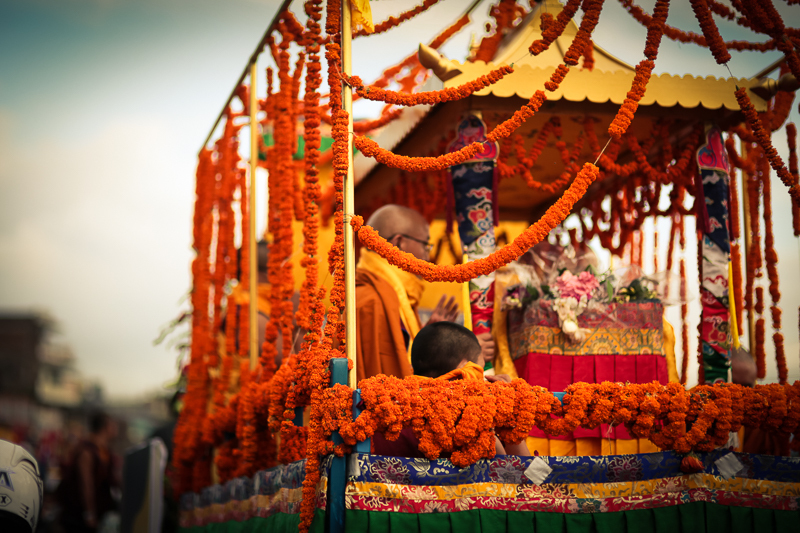 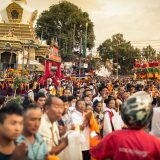 When Shamar Rinpoche arrived, the kudung procession circumambulated the two main stupas in Kathmandu, Boudnath and Swayambhu. 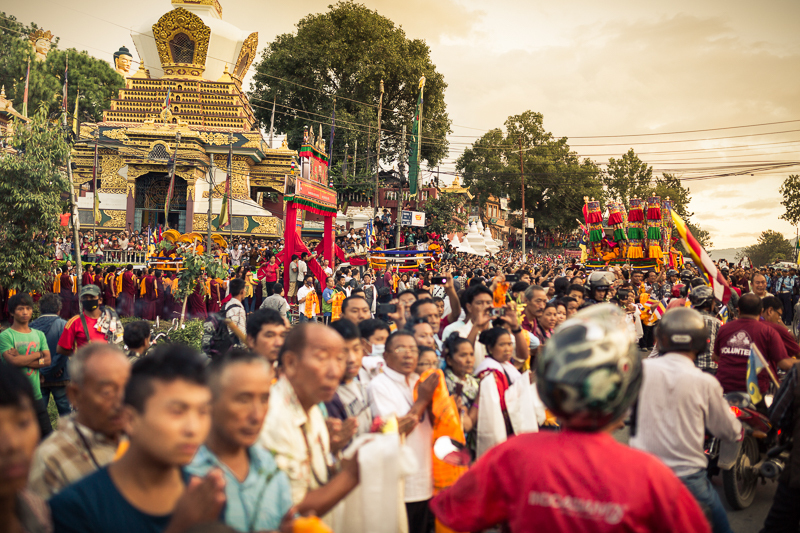 Huge crowds lined the street, or drove along with the procession, and it was night by the time the kudung reached the Shar Minub monastery.